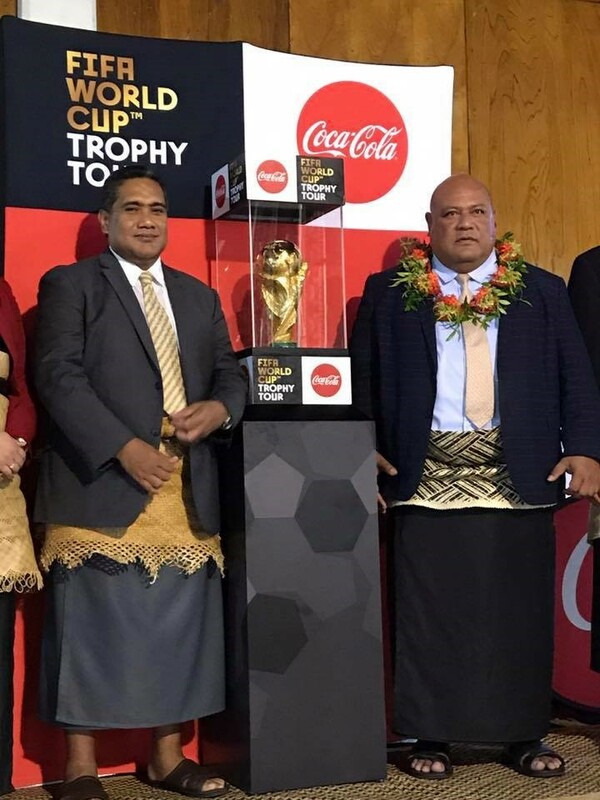 This is a historical moment for us here in Tonga, and also the very first time a FIFA World Cup Trophy has landed in Tonga, and we are very fortunate to be selected by Coca Cola, the longtime valued partner of FIFA, as one of the destinations of the world tour of this iconic trophy. The event, held at Queen Salote Memorial Hall was also attended by Deputy Prime Minister Honorable Semisi Sika on behalf of the Prime Minister, Honorable Samiuela ‘Akilisi Pohiva that he was not well to attend. “I hope that by witnessing this priceless icon, Tongans will be inspired to embrace football and encourage our Tongan youth players to achieve and strive to reach the World Cup in the years to come. 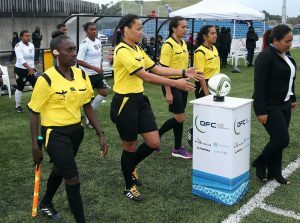 The Tonga Football Association’s Senior Vice President, Mr. Paula Ma’u representing the Football community to this historical event. ”We are lucky enough to receive it without playing or competing for it, although we all worked so hard for it. Finally it is here in Tonga. And all thanks to FIFA’s sponsor, Coca Cola for its effort”, Ma’u says. The World Cup trophy also visited few historical places here in Tonga before they departed. Football For Friendship 2018 delegation from Australia, Pacific Islands, New Zealand led by Lengo Football Academy.